The 6TH annual Spring Awakening Music Festival is just 4 DAYS away. Before you assemble your squad and head over to Addams/Medill Park this weekend, here are a few tips to make this weekend one for the books. Firstly, gates open at 1pm with the festival ending at 10pm all weekend. The Re-Entry Policy reads that there will be no re-entry as wristbands will be scanned once per day. Driving to the festival? Parking will be extremely limited, so it’s highly recommended taking public transit or a car service of your choice. Official SAMF parking will be announced at a later date. With a stacked lineup featuring the likes of Marshmello, Diplo, Krewella, Rufus Du Sol, GRiZ and newly announced guest Armin Van Buuren, it’s a given that it will be hard to keep track on when and where your favorite artist(s) are playing. 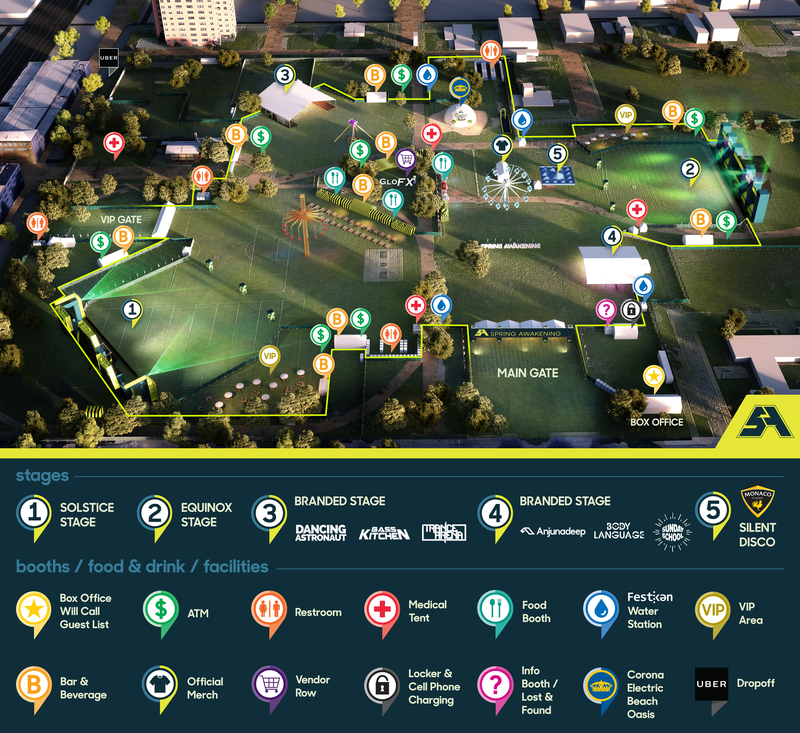 Good thing there’s the official SAMF App. 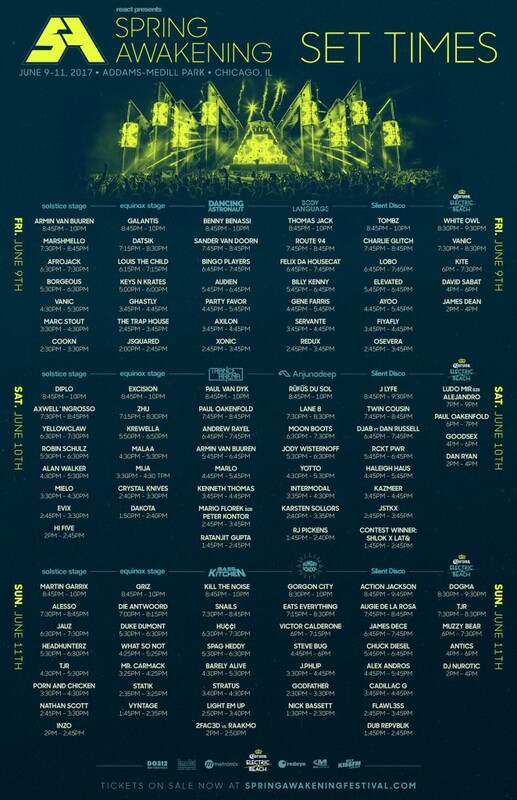 View daily lineups, set times, festival guide and create your own custom schedule. The app is available for both iPhone and Android. Don’t let the party end after the gates close at Spring Awakening – keep it going with official Spring Awakening After Parties. There’s still time to snag up tickets to select After Parties, check it out HERE. Keep it locked to Journalist Without A Beat all SAMF weekend, as I will have exclusive interviews, features, photos, and news updates from the festival grounds.